Sonora legend has it that the perspective of this elegant building was changed to accommodate the wishes of a prominent citizen who lived across the street and wanted his home to face the front and not the side of the new courthouse. The Romanesque building featured several modern conveniences of the turn of the century; one local newspaper reported citizens touring the building "ablaze with electric lights." 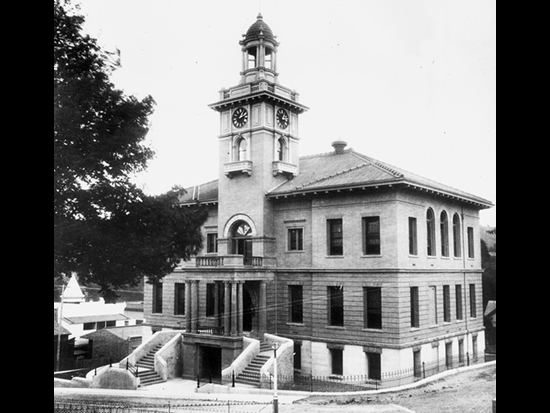 The courthouse remains in use and is listed on the National Register of Historic Places.